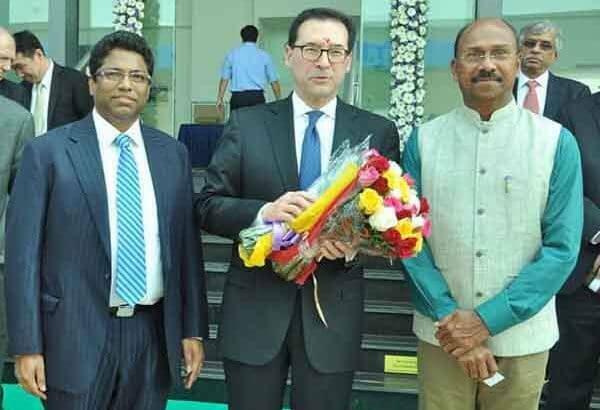 Sannareddy, Managing Director, Sri City, senior executives of various industrial units in Sri City and several other invitees from the industry and business have attended the ceremony. The Sri City unit of Colgate-Palmolive, which was built in a 25 acres of land, and commissioned in a building of 16000 sq. m area, was set up at a an investment about Rs. 450 crore in nineteen months. It has an annual production capacity of 220 million pieces of toothbrushes. The company proposes to expand the unit for increasing the annual production capacity to 600 million. The company offers employment opportunity for 1200 people. Colgate-Palmolive (India) Ltd. was incorporated in 1937 as a fully owned subsidiary of its US based parent company – Colgate-Palmolive, a $17.3 billion multinational company that serves people in more than 200 countries. Colgate-Palmolive (India) is involved in the production of various kinds of consumer products in the categories of oral care, personal care, household care, surface care, and skin care products.